It's easy to overlook the positive impact that a well-run parts storeroom can have on a plant's performance. Despite their humble status, parts storerooms are not attics, nor are they insurance policies against a recurrence of some infamous downtime incident from five years ago. When properly stocked, organized and maintained, parts cribs are an invaluable aid to continuous improvement initiatives. They can save manufacturers thousands, if not millions, of dollars over time. Getting the most out of any parts storeroom requires commitment. Storeroom management is a science that is worth pursuing. It leverages a combination of useful data-based factors, including equipment performance, repair schedules, parts availabilities and critical need analysis. However, before the science of storeroom management can be applied, a much more basic task is in order — implementation of 5-S. 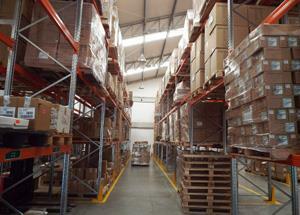 The 5-S methodology is the foundation to effective storeroom management. Why? Because before you can put any tool to work effectively, it must be in working order. In many plants, parts storerooms are simply not ready for more advanced benefits because they are cluttered, poorly organized and in need of upkeep. More than separating and cataloging, "sort" is the process of removing unwanted or unnecessary items. Every item that remains is evaluated and organized according to priority and cost. This is possibly the most mundane and yet empowering of all the elements. "Straighten" involves a thorough housecleaning and reorganization during which work spaces are scrubbed and polished, obstacles are removed, and enclosures are upgraded and painted. As a starting point for the layout of the crib, thought is given to where the most used parts should be located. As a follow-up to "straighten," "shine" establishes maintenance as a permanent fixture for better storeroom management. To be effective, crib maintenance must be done regularly, on a defined schedule. Moreover, cleaning and trash removal inevitably lead to inspection, enabling staff to uncover repair and performance issues down the road. This element moves the storeroom into best practices — not only for maintenance and operations, but also for standardized parts management. Everything from naming conventions to inventory and purchasing should be scrutinized. As the final component, "sustain" includes those initiatives that turn 5-S into a cultural shift. Spanning training, record-keeping, oversight and audits, it ensures that regular attention is paid to every aspect of 5-S. It's estimated that effective implementation of 5-S methodology produces gains in equipment maintenance efficiency on the order of 10 to 30 percent. Considering that spare parts and related services account for 50 percent of all maintenance costs, it's clear that proper management practices will significantly impact the performance of maintenance technicians as well as the entire plant. Putting 5-S into practice maximizes the use of available space and reduces overall inventory cost, as the system facilitates the task of stocking only those parts that have the greatest impact on operations. Even more noticeably, 5-S implementation makes it possible for clerks and technicians to find parts quickly. When a critical piece of equipment goes down, maintenance techs are on the clock — and so is the plant. A well-organized, clean and well-stocked parts crib accelerates the entire maintenance, repair and operations (MRO) process. You can't clean the garage without pulling everything out into the driveway, and the same goes with parts storerooms. Remove everything, sort and organize by part, and perform a review of how recently individual parts have been used. The sorting process is also an ideal time for disposing of obsolete parts. Scrubbing, painting and upgrading fixtures in the storeroom are standard tasks, but many times companies also believe they must make expensive investments in new racks and bin systems. In actuality, simple shelves and inexpensive bins can work fine. The key is to clean thoroughly and organize well. Plants typically aren't the filthy places they once were. Nevertheless, parts cribs — and the parts they contain — still need routine cleaning. Without a firm schedule of routine cleaning (e.g., weekly or biweekly), standards eventually will decline and the larger benefits of 5-S will be lost. Consistent and easily understood parts nomenclature is vital. Begin by establishing a logical hierarchy based on increasingly granular classifications. Next, consider barcoding bins and/or individual parts to make tracking and inventory tasks easier. The effectiveness of 5-S is maximized when each of the previous steps is repeated in order. It's one thing to "clean up" but another to create long-lasting change. To ensure a cultural shift, institute simple structures (e.g., assigning one specific task to be completed each day of the week or having certain employees responsible for different tasks). Supervisors should review checklists weekly to confirm that tasks are being completed. Without systems and follow-up, the facility will not see the benefits. Improving your parts storeroom performance also requires a shift in perception. The crib must be viewed as a place of proactivity, not reactivity. Good storerooms are used often and are continually modified to become more efficient. The 5-S process must transcend equipment, maintenance strategies and changes in staffing. It must become a part of the MRO culture and not simply a one-time event. Remember, 5-S is a journey, not a destination. The advantages are felt when each step is accomplished fully and reinforced continually. A good storeroom management partner can help. When implemented properly, 5-S methodology can transform any plant storeroom and, in so doing, provide the kind of operational and financial boost manufacturers seek. Eric Martin is the director of operations for industrial parts services at Advanced Technology Services. He can be reached at EMartin@advancedtech.com.